Every nook and corner of the room needs to be utilized keeping in mind the functionality and aesthetics of the room. The kitchen is an essential part of every house where a lot of time is spent. 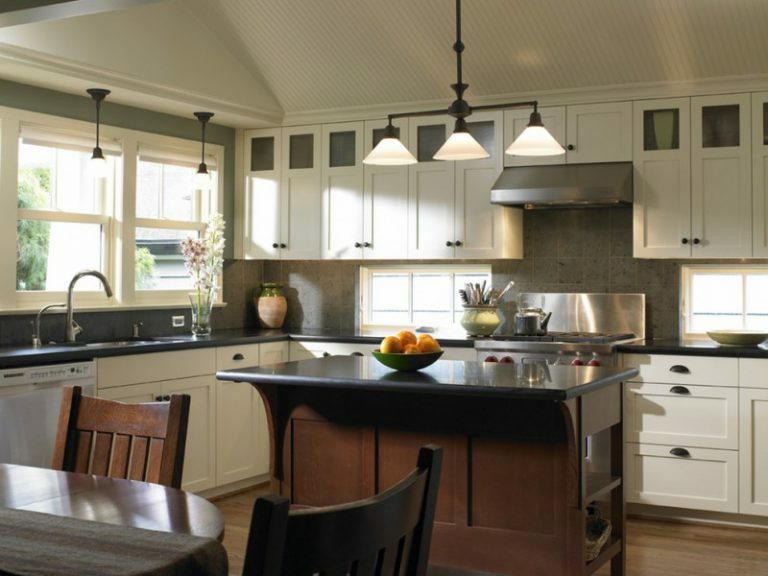 The place in the kitchen which generally gets unnoticed or unused is the corner area of the kitchen. The dilemma of the corner space usually occurs in a kitchen. It is not advisable to have the unused corners in a kitchen where space-efficiency and functionality are of quite an importance. The places where the corner space goes unused are below the counter, above the counter and other corners and they need to be designed in such a way that it serves the purpose of both functionality and aesthetics. Use of kitchen corners smartly as well as creatively can help to free up space in the central area of the kitchen for other utilities. It will also enhance the décor and aesthetics of the kitchen area. The size of the kitchen, existing needs and the overall design scheme decides the ideal corner space addition for the kitchen. Listed below are various kitchen corner ideas which can be used for proper utilization of the corner area of the kitchen. Corner range cooking units are becoming quite popular nowadays. For this idea to work, there is a need for appropriate hood and ventilation system for it to operate. 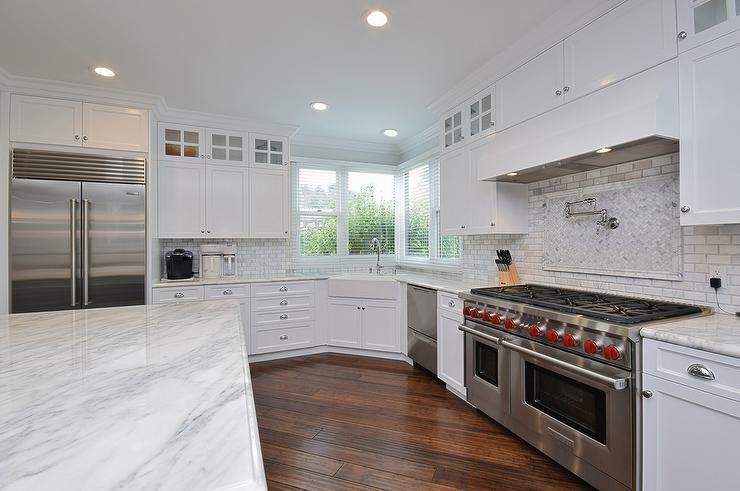 The cooking range can be surrounded by lovely counters and cabinets on either of the sides to have the maximum possible benefits. It should work within the kitchen work triangle which will help in a comfortable and efficient cooking process. It will also help in enlivening of the corner area and open the opportunity to display a special backsplash on the cooking wall. You need to consult the kitchen designer and cabinet designers regarding the installation. A sink can also be considered to be placed in the corners. It is quite a famous design move today to provide a corner window in order to facilitate light and ventilation in the kitchen area. Twice as much view is provided by the installation of corner window that let us enjoy outside views of two sides of a home. Various utilities such as dish soap, garbage bags, cleaning supplies and dishwasher detergent can be stored under the sink base. Also Read: Kitchen Sink: Heart of Every Kitchen! This cabinet is panelled to blend with the other kitchen cabinets and is one of the solutions to the kitchen corner. They are generally smaller in size than regular cabinets so it is quite problematic for this cabinet to fit in pre-fabricated units. They can be used for storing small dishes and crockery if smaller in size. 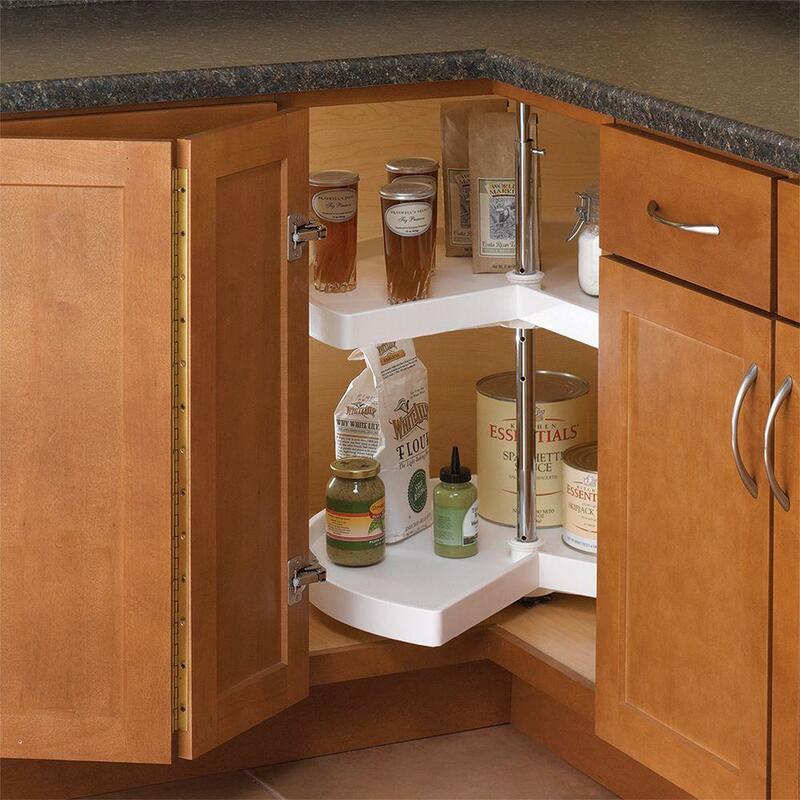 If large in size, pull-out drawers or Lazy Susan can be installed. They offer as an accent to the kitchen and provides a visual break in the cabinetry installation. It is not always necessary to install corner cabinet. Some kitchens may not have the required space to fit corner cabinet or rather you may require open cabinet design option. In this case, the option of a standard cabinet can be a suitable choice as per layout. In standard cabinets, the extra storage space which corner cabinets provide would not be available. There is a provision of a double door in the front which displays both sides of the cabinet simultaneously. As the name itself suggest they are easily reachable and the full advantage of corner space is available. 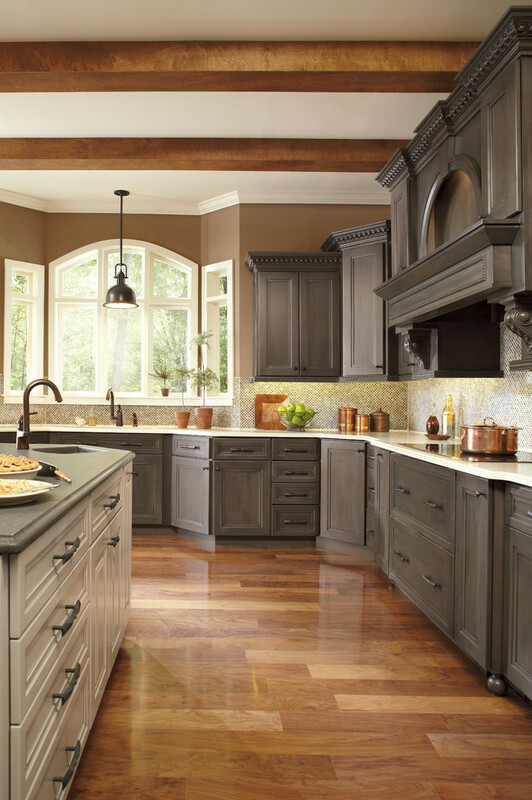 A budget needs to be kept in mind as they are expensive than standardly built cabinets. The space occupied on the counter by the kitchen appliances such as toaster, mixer and blender provide a decluttered look to the counter space. Some of the appliances are heavier as compared to other cooking appliances so storing below the counter platform can cause your back to pain while taking it to use. The appliance garage/counter is provided in the corner of the counter platform with a sliding door or rolling shutter of suitable material. 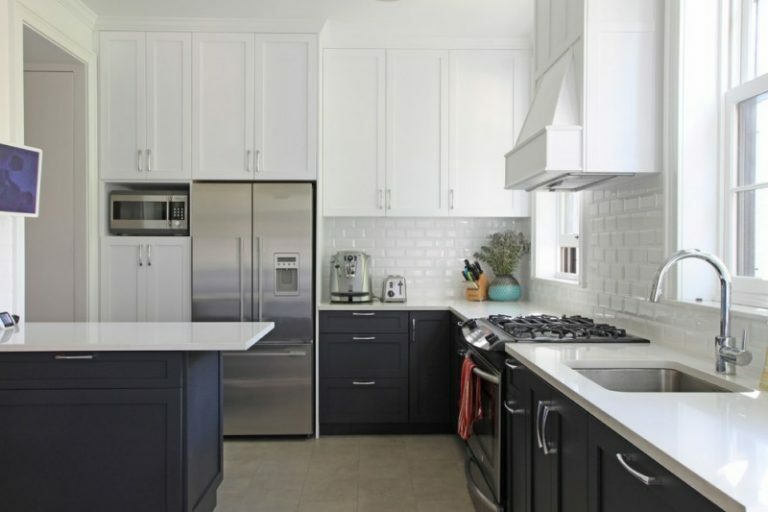 The appliances which are not needed frequently or are to be used later can be stored in the appliance garage and the door can be shut down in order to provide the sophisticated and clutter-free look to the corner space. If you are not interested to use closed corner cabinets, there is an option of using open shelves. Installing several shelves can create a type of open pantry and it helps in making good use of corner space. It does not require any special customized corner pieces and can be made by regular cabinets on either side. It can be used to create a modern, minimalist accent to the kitchen. It can be used to display coffee mugs or dishes or teapot. Canisters of flowers can also be displayed. 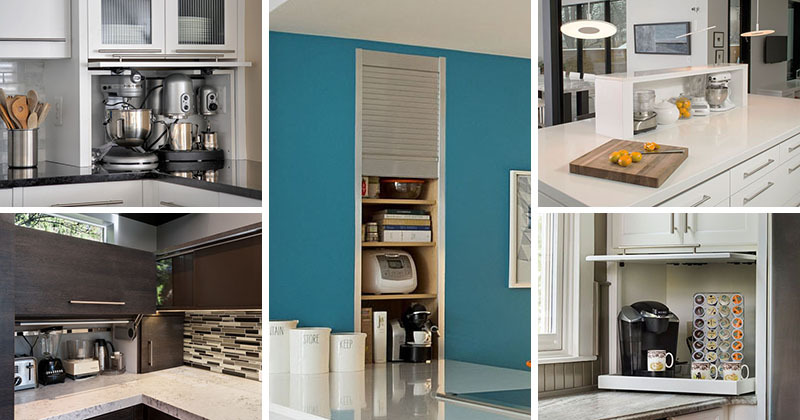 Also Read: 10+ Tips to Plan Your Kitchen Storage For Maximum Efficiency! The space under the counter can be accessed quickly by the provision of corner drawer. Especially when they are provided with deep storage space. They can be provided in two, three or even four drawers depending upon the height and need of the client. The corner pull-out drawers disappear when not in use which helps hiding and decluttering the utilities of the kitchen. The appearance of the corner drawers adds interest and effectiveness to the cabinet’s aesthetics. It is an excellent way for kitchen corner cabinets. It is a portable shelving in which the platforms provided for storage rotates around the core on which it is fixed. It allows the easy access of items to be used. It helps in classical storage of kitchen utilities such as dishes, pots, strainers, pots and pans on turnstiles and provides easy access of them within our reach. The drawback of this is that the storage space provided can become tight. This is another way which provides storage of bulky pots and pans and it defeats the Lazy Susans. It helps in bringing out the utensils right in front of you as the cabinets are fixed on to the shutters. It significantly reduces the reaching and bending to access the utilities. Storage space is limited in this case but the convenience is worth the advantage. They are costlier than the standard build cabinets. It is advisable to install customized corner pantry of full height if you want to have the cooking ingredients and utilities within your reach. It is placed at an equal distance between sink and range in order to have smooth working and efficiency of the cooking process. The counter space is lost in this case. Wainscoting or other trim accents can be used in case of a floor to ceiling corner cabinet to break up the corner of a kitchen. You may free up some space for the provision of seating furniture in one of the corners. This is one of the décor types that never go out of style and it helps in maximizing the seating potential in a small and tighter kitchen for meals. Various factors such as the size of the table, banquette, its style and seating capacity will depend on the interior of the kitchen area. For this, you will need a corner banquette and an appropriate size table for placing of the plates to turn the corner into a classic eating nook. 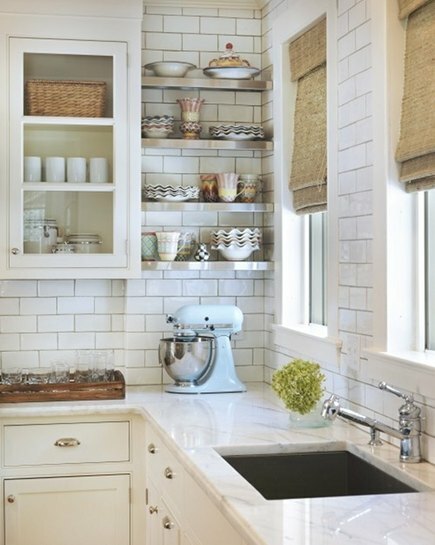 When two walls of cabinetry meet at a corner, a void is created which can be filled by providing a blind cabinet. This is considered as a common and standard solution to the corners. If any utilities are placed in the blind cabinet, it involves stretching and bending of knees and hands to reach to as it is accessible through a single door. They are quite less expensive in budget when compared to Lazy Susans and swinging pullouts. It is one of the space-optimizing idea for kitchen corner. 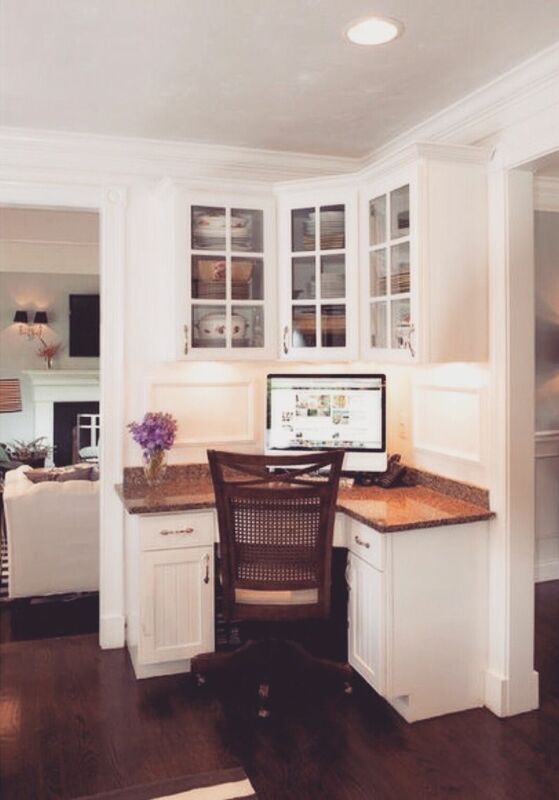 Small corner table with computer can be provided and the also over-head cabinets as well as under-counter cabinets for storage. This makes up a nice place to look up for recipes from the computer, keep a record of various bills and also homework area for kids. 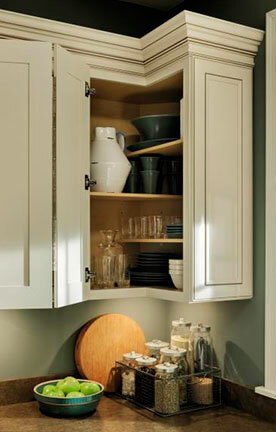 The proper and optimum lighting can be provided on the base of the over-head storage cabinet to lighten up the area. Most of the kitchens do not have any space to leave unused, but the fireplace installed in the kitchen can have a unique attraction and appeal enhancing the décor value of the space. In countries having colder climates for most of the months in a year, this can be applied for the dwelling units with larger kitchen space area. Above listed were the various kitchen corner ideas to make creative and spacious use of the kitchen corners. 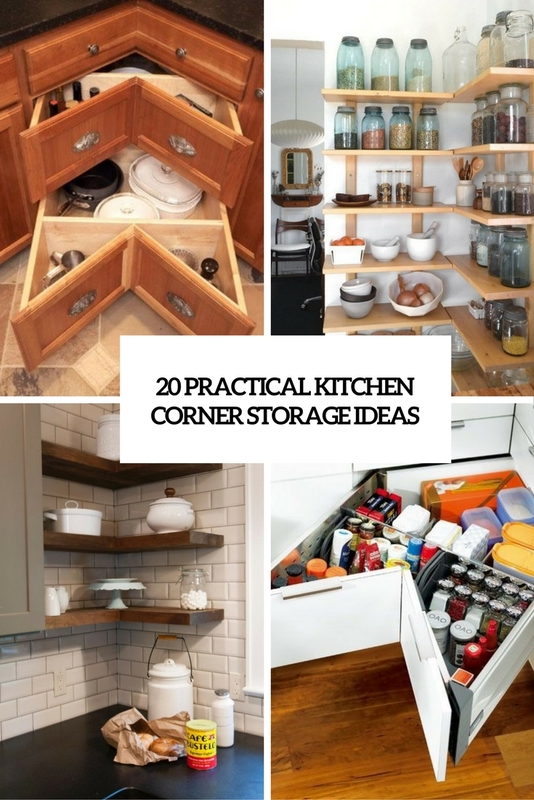 Do you have any more such ideas on how to use kitchen corners or have you used any of the mentioned ways to utilize the kitchen corners? Then please share with us the ideas in the comment box below. Hoping for a spacious and good-looking kitchen!! !